Silky smooth, rich and delicious, these mashed potatoes are sure to please. Never buy potato flakes again; creating from scratch is easy to do. 1 Put the potatoes and turnips in a pot, cover with cold water, and add the thyme and 2 teaspoons salt. Bring to a boil and cook, uncovered, until soft, 20 to 25 minutes. Drain, then mash, adding cooking water if needed to thin the vegetables and the cheese and/or butter to taste. Taste for salt and season with pepper. Keep warm in a double boiler if you're not ready to serve. 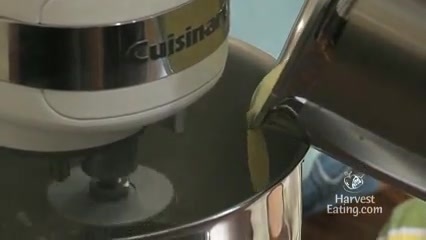 2 Melt the butter with the oil in a large cast-iron or nonstick skillet. Add the onions and cook over medium-high heat, stirring frequently, until golden and tender, 12 to 15 minutes. Season with salt and pepper and turn off the heat. 3 Lop off the stems of the turnip greens. If using broccoli rabe, peel the thicker stems. Cook in boiling salted water until tender, about 8 minutes in both cases, but taste to make sure. Drain, then add them to the pan with the onions. 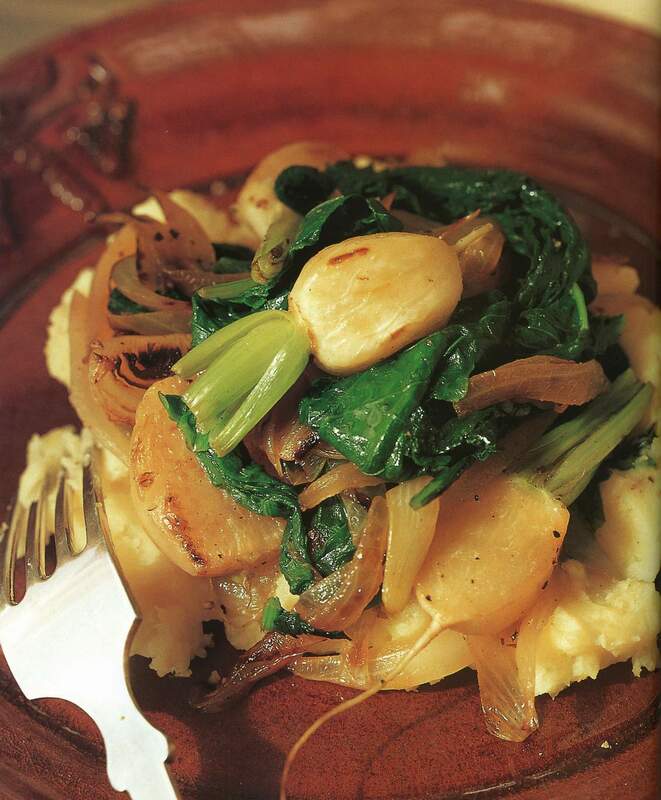 4 To serve, mound the mash on a platter and smother it with the onions and greens. Begin cooking the potatoes and turnips. While they're cooking, start the onions and the greens. I usually cook the turnip greens in the potato water, but a bunch of broccoli rabe will need more room. If the mash is finished first, keep it warm over a pot of simmering water or in a double broiler. You can also cook the onions and greens ahead of time, then reheat and combine them with the potatoes at the end, making this a somewhat do-ahead dish.